Guide: bulk printed tinned sweets prices. 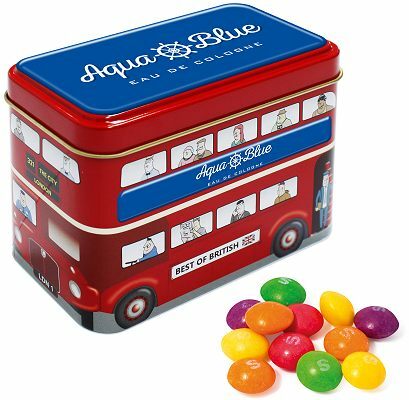 This London Bus Sweet Tin is logo printed full colour in 3 positions, top and sides. Filled with 4 x 30g bags of Skittles sweets. We have more products than shown above. 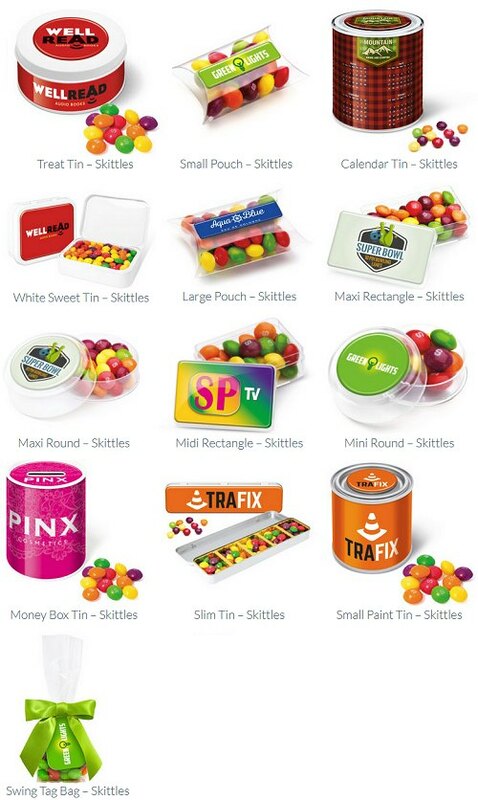 Please ask Crazy Dave about these Skittles Sweets container options.